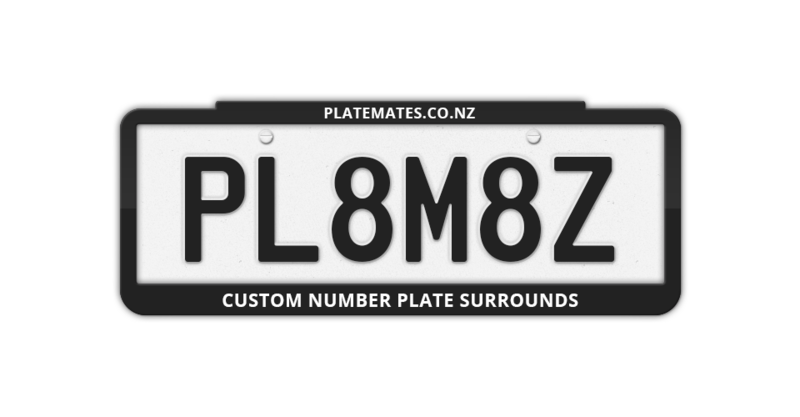 PlateMates is a , small , friendly and well established company that arose from the directors own experience in getting a pair of number plate surrounds. It was harder than it should have been in many ways. Our commitment to you is to provide a quality product with friendly and professional service. Yes, this is a website, but we are available to talk to you in person on our free phone 0800 888 242 during normal working hours. Here’s your opporunity to grab the attention of the next person who is behind you. Customise and order your very own number plate surround right now! Use the designer above to create your own custom number plate surround. When you’re done hit order, pop in your details and we’ll have your Platemate out to you within a maximum of 10 working days. If you require it earlier then use the other requirements box to tell us when you want it and we will tell you if it is possible when we send our order confirmation back to you. Prices shown are for a pair of surrounds (one front and one rear) are in NZ$ and include GST and postage. Here at PlateMates we often run special promotions or competitions so keep an eye on this section for some great offers! Welcome to our new Website, to celebrate we will be launching a special promotion soon! PlateMates now offer gift vouchers. To order a PlateMate as a gift voucher, please design your plate adding the words ’Gift Voucher’ as your custom text. Please see our FAQ for more details.